Outlining a solid and effective marketing strategy can feel like a scary feat for a small business marketing team or solopreneur. Luckily, there are a range of tools (free or reasonably priced) that can lead to a massive boost in sales and revenue for your small business. To take advantage of them, you can’t simply fly by the seat of your marketing pants. Having a solid system in place will add clarity to your efforts and consistency to your results. In other words, if you want your small business to flourish, you need to have a systematic approach in place. That’s what having a strategy is about. Here’s how to build and create one. Before any planning and strategizing takes place, you need to be clear on your ultimate goals. That’s the first and the most important step. Ask yourself; what are you looking to accomplish? 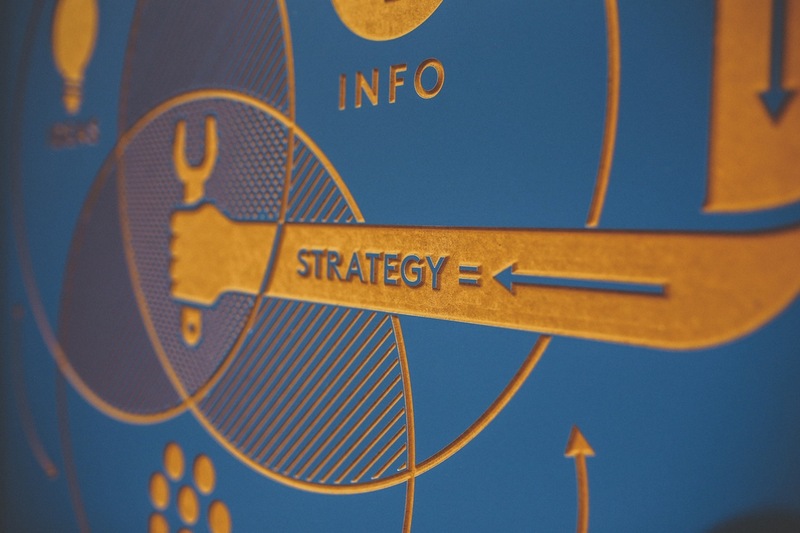 What are your ultimate business goals and how do they relate to your marketing objectives? Maybe you want to expand your business, increase revenue, or boost lifetime value of your customer base. All of that will determine your final strategy. Clear goals also provide you with benchmarks to measure your success. But most importantly, it will make everything much easier – clear goals trigger many relevant questions and narrow your focus. “He who tries to please everybody, pleases nobody.” In marketing, narrow focus on your market is the winning strategy. In other words, you need to know who your ideal customers are and focus on them. 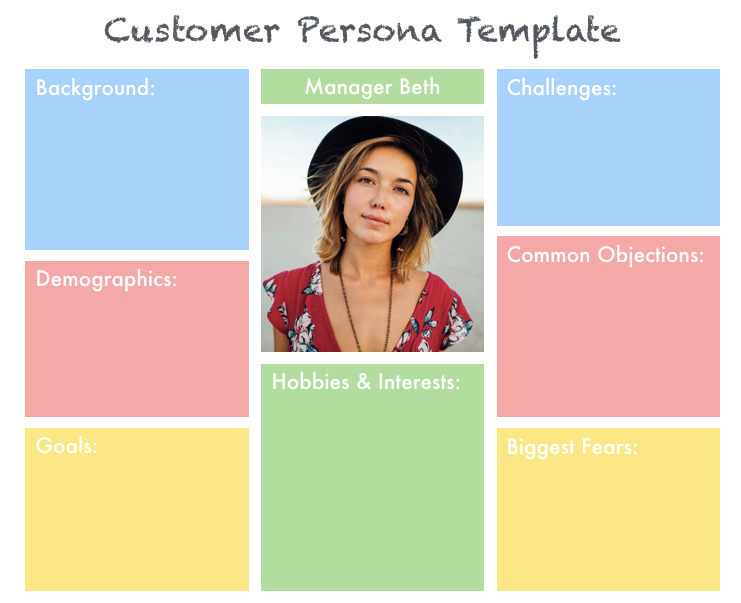 Customer personas are research-based archetypal (modeled) representations of who buyers are, what they are trying to accomplish, what goals drive their behavior, how they think, how they buy, and why they make buying decisions. (considering it’s 2016, we should also add where and when they buy). Answering all of these questions will determine your copywriting language, marketing channels, type of offers, and so on. SEO: While there aren’t any SEO shortcuts to boost your search rankings, you want to optimize your website and include searchable keywords on each page. Design: Successful website design builds trust and improves conversions. Your website may be the final stage between prospect and customer, but it can also be the quickest repellant. What does your website need to help you meet your business objectives? Content: The content on your website should speak directly to your ideal buyer and highlight the important benefits and solutions they’re searching for. You should update your content frequently to make sure it’s current and unique. Email: We’ve said it before, and we’ll say it again. Email delivers an incredible ROI. No matter what, your email newsletters and autoresponders should be spot on and follow a clear strategy and schedule (see: marketing automation). Mobile: Mobile took over desktop. In other words, more than 50% of people use their mobile devices to browse the internet. You want your website to be mobile-optimized and maybe even take the plunge on going mobile-first if it makes sense for your target demographic. Social: Unless you spend on ads, for most companies, social media is not the most effective (or immediate) way to acquire customers. Either way, you should count on maintaining a presence across different networks and pick one or two to focus on. It’s important for prospective customers to be able to recognize, trust and reach out to your brand, and the first step toward recognition is an online presence. Finding your top marketing channel is something that requires action. Initially, you won’t know which is the most effective, but the best way to find out is to take out a portion of your marketing budget, break it down into smaller line items, and test different channels to acquire customers. This process should give you an general idea of how different channels perform. Some, like content, are hard to assess, because it takes time for content to yield results. Overall, you want to be out there testing the waters and building a presence, but put your top effort (and budget) into the tool that performs best. Actionable: That means it allows you you to take action and change something based on the data you collect. Understandable: Should be easy to understand. If nobody understands it, it won’t change anything. Comparative: If you can compare your metrics across time periods, groups of users, or competitors, you can understand which way things are moving. Ratio or Rate: Ratios and rates are inherently comparative. How are you going to improve over time? Even if you put your best effort into your marketing strategy, chances are you’ve got many things wrong. There are many tools to keep improving and finding the right way to do things. You should plan for doing surveys, gathering feedback, A/B testing, and so on.